What we will be looking at in this section is what happens at the start of fights, not what caused the fight to begin in the first place. “Why” fights start is beyond the scope of this text, but I feel this aspect deserves a brief mention, as it is very important when discussing self-defence. I would encourage you to research why fights begin in great detail, as it is with this knowledge that fights can be effectively avoided (Geoff Thompson’s “The art of fighting without fighting” is well worth a look). Try to avoid placing yourself in locations or situations were violence is likely. Also, be sure not to make yourself an attractive target to any would be attackers. Keep all valuables out of sight, park your car in well lit areas, avoid isolated places, travel with the car doors locked, avoid suspicious looking people and situations, don’t consume too much alcohol, walk towards oncoming traffic, keep away from aggressive individuals or groups, do not stop to talk to strangers etc. Be aware of your surroundings and should an undesirable situation start to develop, you may be able to avoid it all together, and if you can’t, then at least the element of surprise is lost to your assailant. In recent years there has been much debate as to the legitimacy of pre-emptive striking. Some support the method stating that action is always faster than reaction, and emphasise the importance of seizing the initiative in high-risk situations. Others object to the method on ethical grounds. Gichin Funakoshi's famous quote, "Karate ni sente nashi" or "There is no first attack in karate" is normally used to justify this stance. As a traditional karateka, it is my belief that training should revolve around self-development and self-defence, and should effectively promote both. We do not wish to produce training grounds for thugs nor do we wish to fail to equip our students to deal with society's violent minority. The issue of pre-emptive striking is certainly controversial (as I found out after I included it in my book 'Karate's Grappling Methods'!) One thing that both camps agree on is that fighting is to be avoided whenever possible, it is what to do when fighting cannot be avoided that causes the debate. There can be very few martial artists who believe that the individual has no right to fight back, the question seems to be at what point is the use of force legitimate? I believe that "Karate-do ni sente nashi" and the pre-emptive strike are in no way mutually exclusive and can exist side by side. To my mind once an assailant has decided to attack us, the attack has begun and we are well within our rights to use whatever methods are appropriate to ensure our safety. Obviously we can't read our opponent's mind so we must look for physical indications that an attack is imminent. Behaviour such as threatening body language, verbal threats, raised voice, excessive swearing etc. If an individual is behaving in an aggressive way whist attempting to invade our personal space then there is a strong possibility that their verbal aggression is about to escalate to the physical. This verbal assault is an attack in itself and waiting until the attack becomes physical is foolhardy in the extreme. (Read Geoff's excellent books "Three Second Fighter" & "The Fence"). It isn't always possible to have another person available for sparring whenever you are ready to work out. That is one of the reason sparring bags are necessary. But sometimes, even if another person is available, training can be better done on the bag. Sparring partner punching bag training lets you focus on delivering your blows and honing your technique without the distraction of being on the defense from blows of a sparring partner. 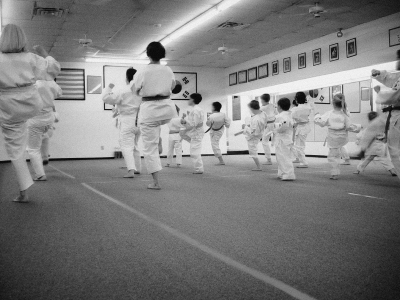 Karate sparring, known as kumite, is one of the most important segments of karate training, along with kata and kihon. 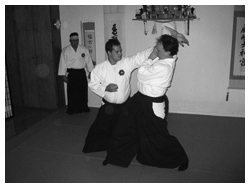 It is a sort of exercise performed between at least two karate practitioners, using the techniques learned from the kihon and kata. Contrary to the popular belief, the main purpose of karate sparring is to expose or show off a practitioner's technique. The term "technique" here not only refers to the physical techniques involved in the art of karate, but to the understanding of the fundamental and advanced concepts of the art, such as timing and distancing, as well. Given this idea, it is clear that unlike the other forms of fighting, karate sparring aims not to defeat, unless it is a tournament match, or injure the opponent. Karate sparring rather aims to develop and improve your karate skills and at the same time helping your opponent or your partner improve his or her own skills.